Check out the four fabulous colours that are featured in the new Color Challenge. Don't they look yummy together? 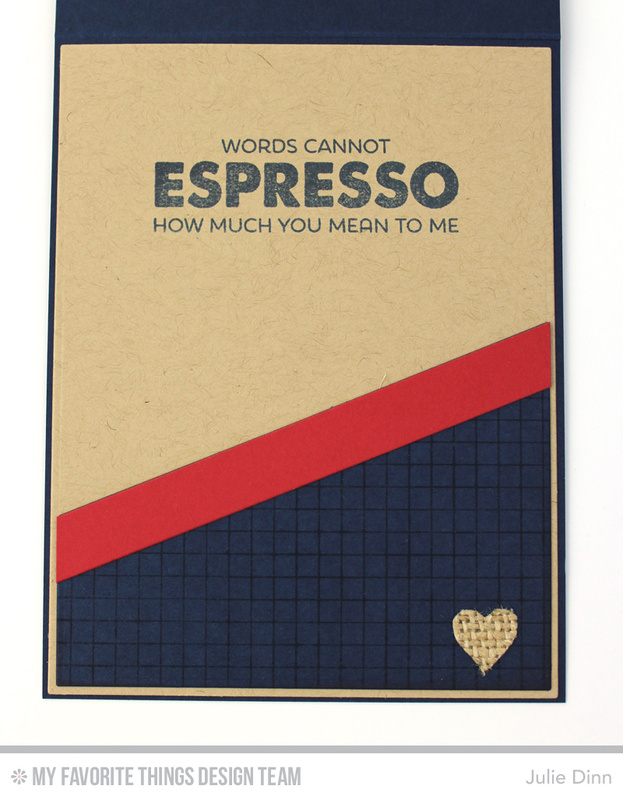 I paired up a few of my favourite stamps and dies to create today's card. The Coffee Cup Die-namics and the Blueprints 18 Die-namics are at the top of my list for go-to dies. I die-cut the coffee cup in Kraft card stock, and added a Sweet Tooth lid. 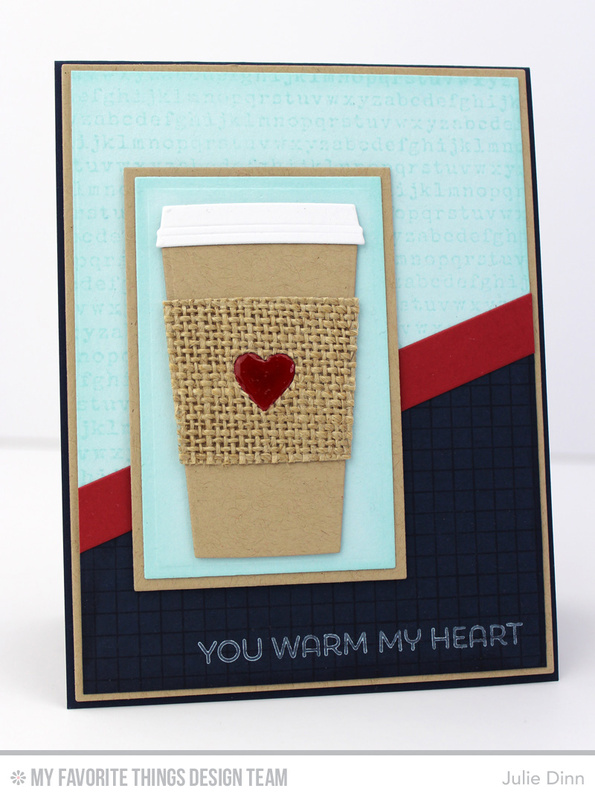 The sleeve was die-cut in burlap. I added Scor-Tape to the back of the burlap before I ran it through the Vagabond. I like to add the adhesive first as it stops the edges of the burlap from fraying. The small red heart was inlaid in the burlap sleeve and it was given a thick coating of Glossy Accents. On the inside of the card, I stamped one of the sentiments from the Perk Up stamp set and I finished it off with a small burlap heart. Be sure to check out the MFT Challenge Blog to see all the gorgeous creations the challenge team has to share with you today. We would LOVE to see your creations too! Be sure to get your entry uploaded and YOU could be the next challenge prize winner. This card is so cute! 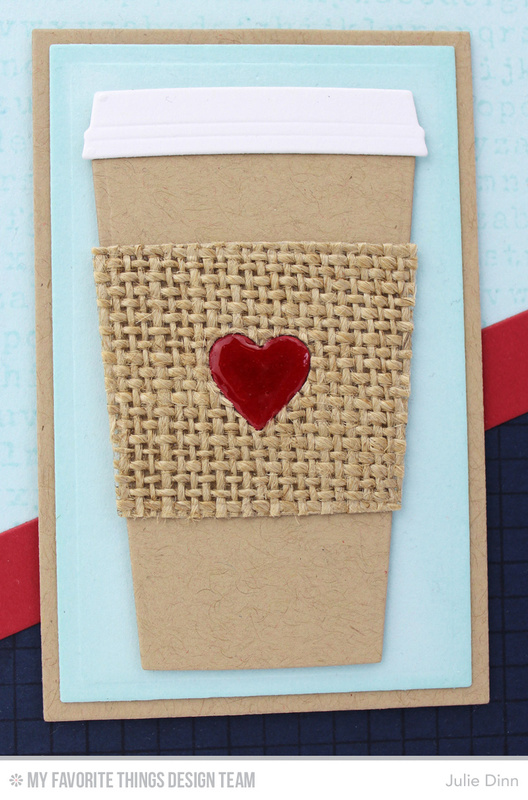 I love the burlap you added to the coffee cup. So cute! !